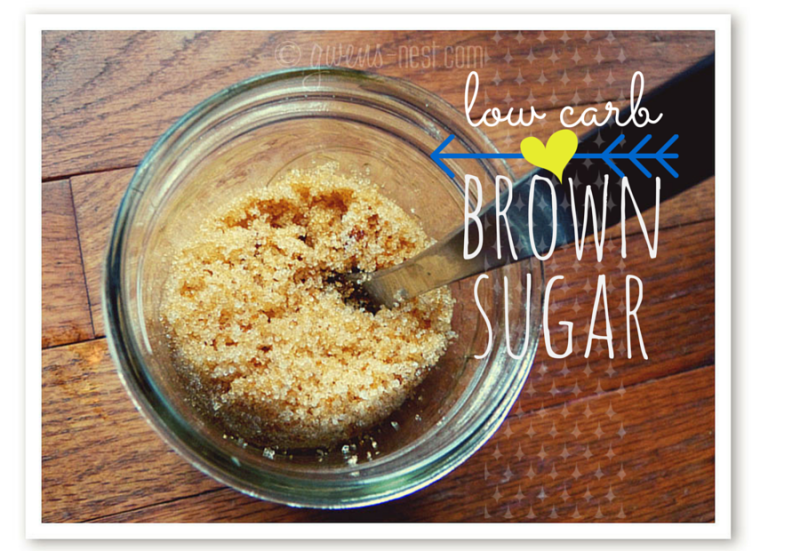 A sugar-free brown sugar recipe is not something you really ever think about until you are working on going low carb. And the holidays hit. And then it ranks right up there as a ‘need’ next to toilet paper and oxygen. “Wait…they MAKE that already,” you might say. “There is a very tasty product called Just Like Brown Sugar that is sugar free!” I get excited…I rush over to Amazon to view said product. And I realize that there is no way that I am going to pay upwards of $20 for a little one pound pouch of the stuff. No. Way. Today on Trim Healthy Tuesday, we’re going to make our OWN sugar free brown sugar! It really couldn’t be simpler. Just add a bit of blackstrap molasses to your sugar-substitute of choice. You can use erythritol or xylitol as the base. You may also try it with Just Like Sugar, but I’ve not experimented with that one yet. *An Important Update*: I’ve gotten some concerned comments about the fact that blackstrap molasses IS in fact sugar, so this recipe is NOT in fact sugar free. You caught me with your scientific facts. Yes, there’s a teensy-tinesy amount of sugar in the blackstrap molasses. If you eat the entire cup of low carb brown sugar *bless your heart* you’ll get 3 carbs from the sugar, and 12 1/2 calories. Most of us will get far less than that per serving size when this is used in a recipe. * These are numbers I can live with. And to show my repentance, I’ve changed the name to low carb brown sugar on the photos. It feels so good to get that all out in the open now. Carry on. I also added a couple of drops of Frontier Butterscotch natural flavoring just to give a little more oomph to it. Then you stir and crunch it around with a fork until it looks like this and smells like heaven. This delicious sugar free brown sugar recipe sub is affordable, so-super-simple, and best of all, it tastes and smells amazing! Yes, it's got a teensy tinesy amount of sugar in the blackstrap molasses. If you eat the entire cup of granules *bless your heart* you'll get 3 carbs and 12½ calories from the sugar. Most of us will get far less than that per serving size. Add molasses and flavorings, and blend with a fork until evenly distributed. Use in your favorite recipes as a 1:1 substitute for the base sweetener you used. *blackstrap molasses contains more nutrients and minerals than other types. Xylitol does contain calories, and is toxic to dogs. It's also slightly sweeter than erythritol and can be used 1:1 with table sugar in recipes. You may try adding in a ¼-1/2 t. of stevia extract for a 'Truvia' brown sugar blend. This will adjust the sweetness up a bit if using erythritol. Lovely recipes Gwen! Thanks for sharing these! I really enjoy your blog as a new THM enthusiast! I always find the best recipes on here! 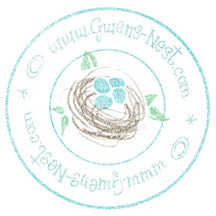 Thank you for hosting this, Gwen! It’s completely my pleasure, Sara! I love Tuesdays and getting to see what everyone is making and posting! It is a sugar, but this is in such a teensy amount, and just really used for flavoring. And Pearl approved this one prior to me posting it. 🙂 So you’re good to go! Where can I find the recipe sheet shown in your photos? Have you made some and stored it for a period of time? I have stored it for over a week, but ended up using it up. Thanks! I want to make a big batch so I have it when I need it. Umm molasses is a by product of processing white sugar and can contain anywhere between 15 to 60% raw sugar depending on the grade of molasses. That is not a teensy amount, nor is it just a “flavoring”. Anything you use this recipe in isn’t sugar free. There’s 11 GRAMS PER TSP!!! How is that a teensy amount?!?! Wholesome Sweetener brand is 14g per TBSP and this recipe calls for less than 1/3 of a TBSP (3/4 tsp). Gwen, I don’t have blackstrap but I have unsulphered. Can I use that or do I need to find the blackstrap? blackstrap is the better option for the glycemic levels & minerals. We love bacon wrapped smokies and it calls for brown sugar. I told hubby last night that I remembered pinning this recipe and now we can have it and still be on plan =). Thanks Gwen! *high five* Sounds SO good! How do you make them? I am new to THM and so I am wondering about the new THM sweeteners – if I buy the blend, can I use that for this recipe? You’d probably JUST want the erythritol for this recipe, since the blend has added stevia that makes it SO much sweeter. You’d end up using just a teeny amount, so you’d not get the flavor and bulk that this adds. Hi Gwen! Now that THM has a new sweetener (Gentle Sweet) that is not as sweet as Super Sweet, can that be used? Blackstrap Molasses is sugar made from sugarcane. Blackstrap molasses have about 332 calories per 100 gm of weight. Paul, darling. Thank you for the research. I’m aware that blackstrap molasses is from sugar cane, and is a form of sugar. I think I’ve already addressed this in another comment. If the 12.05 calories from blackstrap molasses per *cup* of this brown sugar sub bothers you, then perhaps this is not the recipe for you. The point of this post was to give a good alternative to *regular* brown sugar, which contains approximately 836 calories per cup. Give or take. I don’t pack it. I just measure it like normal erythritol. 🙂 It’s not as sticky as regular brown sugar. I keep it in a jar in the pantry at room temp. 🙂 It keeps very, very well! Hmmm…mine wasn’t super hard to mix, but I live down south where the temps are warm. You may want to warm up your ‘lasses before mixing it in. I also use a knife or forkk to mix it all up, and use a jar larger that you’d think. That way it doesn’t spill while you’re stirring. 🙂 It will start out clumpy and then suddenly become just right. Hope that helps and that you can get it to work out nicely! Gwen, you are so very gracious to those that respond in a not-so-nice way or jump to criticize. So sad they cannot just be happy for this awesome recipe. You have a grace I could only pray to attain. Also, I am living looking at your recipes! Also, I saw someone sdyong they were having trouble mixing it. I have always made mixed mine in my Kitchenaid with the whisk. Great idea! I just use a fork to mix, in a jar that’s a little bigger than my batch. But the whisk attachment is a great idea especially for bigger batches! Hi….Your recipe for Sugar Free Brown Sugar mentions artificial sweeteners I’ve never heard of. I use Spenda as my artificial sweetener but the recipe suggests erythritol or xylitol. Those are not the ingredients for Splenda so I’m wondering if these are a grocery item or where do I buy one or the other? My second question is, what is the texture of the finished product? I want a substitute for brown sugar to sprinkle on my morning oatmeal cereal. The recipe doesn’t say but I don’t see how the thick molasses will distribute evenly through a powered sugar substitute and still be able to be sprinkled. Is this recipe suitable for my use? The sweeteners in the recipe are sugar alcohols. I order mine online in bulk. Erythritol is frequently used with stevia blends in store products. You may check the Truvia in the small jar and try that for this recipe instead of the Splenda. The textures are so different…Splenda is fluffier and you want more of a granular texture. 🙂 Hope that helps! Please tell me from where you get them online in “bulk”? pretty cool recipe. I haven’t tried it yet, but it is nice to know there is a solution!! Would measurements change with sweet blend? Thanks so much for the recipe! I have been searching for a sugar free brown sugar for awhile! I follow THM and am making lots of lifestyle changes with it. Wow, this could come in very handy! I’ve been avoiding chocolate chip cookies but this could inspire a recipe! Thank you! Try carob chips to replace chocholate chips. Carob also comes in powder. My Mom gave us carob chips when I was a kid. It tasted like disappointment and sorrow. What does t. mean? Teaspoons or tablespoons? little t. is teaspoon and capital T. is tablespoon. I’ll go ahead and type them out for you. 🙂 I’ve started doing that on my newer recipes. I LOVE all things Gwen!!! Just two short questions! How do you store the brown sugar and how long does it stay good? I store it in a glass canning jar and I’ve not yet had any go bad on me…so I’d say it keeps for months. 🙂 I’ve usually use it pretty quickly though. Thanks Gwen. Used this today to make my low carb pecan pie muffins. Worked great. Your a life saver. Do you think we can use this same recipe for your brown sugar with the gentle sweet blend? Hi Gwen! Could this be made and stored in an airtight jar and kept in the cupboard? How long of a shelf life would it have? Thank you. Hmmm…well the molasses is not to add sweetness- it has such a strong flavor, that a tiny amount lends that real brown sugar taste. I don’t think you’d get a brown sugar taste with honey or maple syrup since they have a much milder flavor, but you could try it! So excited about this recipe. It will open up a whole new world for me. For instance Sweet Potatoes. Oatmeal…etc. Hope you love it as much as my family has! They were ok. Still had that super sweet stevia after taste, but it had a good flavor besides that! Oh yes…stevia is SUPER sweet. The recipe for Super Sweet Blend is 1 cup of erythritol to 1 teaspoon of stevia extract, and THAT is super sweet. If you’re using a stevia extract, what you can do is to use 1 cup of erythritol to 2 teaspoons of what you just made. Then you can “brown” that up with this recipe. If you want it closer to sugar quality sweetness, then only use 1 teaspoon of your super-dooper-way-too-sweet mix and cut in with a cup of erythritol. There is no such thing as sugar free molasses that I’m aware of, because it’s a byproduct of refining sugar cane. I’m thinking nutritional info varies from brand to brand, because I checked the site I like the most for nutrition info and my bottle of blackstrap molasses. On nutritiondata.net, they list regular molasses is listed as 8 sugars and 15 carbs for a Tablespoon (so a teaspoon would only be 5 carbs). On my bottle of blackstrap- which I prefer because it’s got a better mineral profile, one Tablespoon has 9 grams of sugar and 13 carbs. The thing with blackstrap molasses is that it has an extremely strong flavor, which is a plus here-you only use a tiny amount to create a whole cup of low carb brown sugar sub. I only use a teaspoon in this recipe (one third of a Tablespoon), and it yields a whole cup of “sweet brown” with between 4 and 5 net carbs. If you use a whole cup of this to bake 2 dozen low carb cookies, that’s contributing maybe 1 carb for like 5 cookies. Which is why I consider it “teensy.” 🙂 And awesome. Compare that with regular brown sugar, weighing in at a whopping 213 sugars and 216 carbs per cup. That’s why I consider this to be a fantastic low carb option! But your opinion may vary. I am sure you answered this already but can I use THM sweet blend? Would I mix it the same? Sweet Blend is SO much sweeter, so you’d use a MUCH smaller amount in recipes. So while you *can* use Sweet Blend for this, you’ll get less of a brown sugar impact because you’re using a much smaller amount in recipes. Make sense? Can u tell me how much gentle sweet I would use to make 1 cup of brown sugar in this recipe? In other words, if gentle sweet or what I start with should the recipe still work? And then would that still be 1:1 with the recipe I’m working with? Or less because if the stevia in the gentle sweet? Thanks! Nope! Not at all. 🙂 It stores really well at room temp for long periods. I have been making my own brown sugar for years with molasses and evaporated cane juice. I mix it in the mixer with the whip beaters. I will try this with a sugar free sweetener! Any molasses will work. I prefer the blackstrap because it’s higher in minerals, but I’ve used regular in a pinch. 🙂 Enjoy! Hi Gwen! I was missing brown sugar and butterscotch on THM. Thank you for posting this! I can’t find Frontier Butterscotch Extract anywhere. 🙁 Do you know of another good kind to use? Or a website to shop for good extracts? Some of the butterscotch “flavor” I find has ingredients I’m not sure I want to eat. Thanks again! Can you please help me decide which sweetener to use in the brown sugar recipe? I have Gentle Sweet, Super Sweet and Stevia. Thank you for your great website! I would like to know if you use the granules or powdered. I have read so many forums that say powdered erythritol, in particular, doesn’t cause as much cooling effect as the granules. 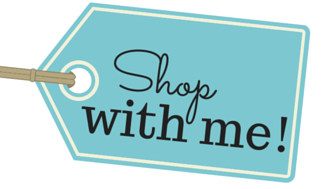 I am interested in purchasing the xylitol, but would like to know if you recommend powdered or granules. Thanks! Hi Gwen! Can you give me the info on where you but your bulk products, like Erythritol? Can you use Pyure? That is granular and plan approved. If so, how much? You *can* use a stevia blend like Pyure in the same amounts given here. 🙂 I just prefer to use straight erythritol or xylitol, since I use less of the stevia blend sweeteners to get a good sweetness level in recipes, and thus the brown sugar effect is less noticeable. Yes!!!! I can have oatmeal once more! Thank you for this recipe! Hi there, Gwen! I’m only a couple months into a keto diet, and just recently venturing into trying a few treat-like recipes. I bit the bullet and purchased some Just Like Sugar Brown and was so excited at the prospect of an allowed brown sugar substitute… but I found I really don’t care for the flavoring they use in it (orange peel is one) and also its fine texture. So I’m really excited to discover your recipe! Question: do you have an opinion as to which flavoring (butterscotch or maple, e.g.) makes it MOST like good ol’ C&H Dark Brown? Thanks!! So excited to come across this as I love baking chocolate chip cookies and I wasn’t sure how I’d do it without using brown sugar! My only confusion is the ratios… the recipe I use calls for 3/4 C. brown sugar, so would I measure this out the same as that or would it be different? 🙂 I’m really new to this so I appreciate the help! I found out I can’t handle Xylitol or Erthynol. They make me sick. I can tolerate Stevia fairly well with minimal allergy reaction. Do you have any suggestions so I can make the brown sugar? Currently I’m using mostly stevia and some coconut sugar to sweeten. You can simply add a quarter teaspoon of molasses to your recipe to get a flavor punch similar to brown sugar. Now, it is a sugar, so you may not want to use both coconut palm and molasses, as that may take your sugar count too high. I’d only add molasses when you’re making something with straight stevia. 🙂 HTH! Where is the brown sugar recipe? Hi there… Would this work with the THM Gentle Sweet or Super Sweet blends? They are my fave. WOOO HOOO! Thank you so much for sharing this!! Quick question….will it work with Truvia or Pyure? What is the carb count in this? I love this stuff! I add it to my morning oatmeal all the time. Thanks for sharing Gwen! Splenda texture is not going to work as well. You really need a granulated, not a powdered texture. Could you use stevia in the raw as your sugar substitute? I haven’t tried it. Does that have maltodextrin in it? Hello! I still a newbie at THM and still slowly stocking up on special ingredients. Where do you find cocoa butter and backstrap molasses? I googled cocoa butter but not sure which one is best for baking. Thanks!! I can’t wait to try these! I’m doing low carb but sometimes you just want to have something that’s bread or cookie and this and the brown sugar recipe with the Splenda and molasses is going to be great. Just read you story about blackstrap molasses and butterscotch favor – THANK YOU FOR SHARING. Can hardly wait to share with my daughter – who lives on a sailboat in the South Pacific. We are using Stevia products (such as Pyure), can I use this in place of the erythritol or xylitol? The resulting mix will be VERY concentrated due to the stevia. If you want to use a stevia blend, I’d not make a pre-mix like this, but simply add in a bit of the brown sugar ingredients into your recipe each time. When I tried to mix mine, the molasses clumped together—did not look like yours even after stirring for quite a while. Thank you for this recipe. I put it in my squash even though it wasn’t completely mixed together. What about using Swerve? Would that work?